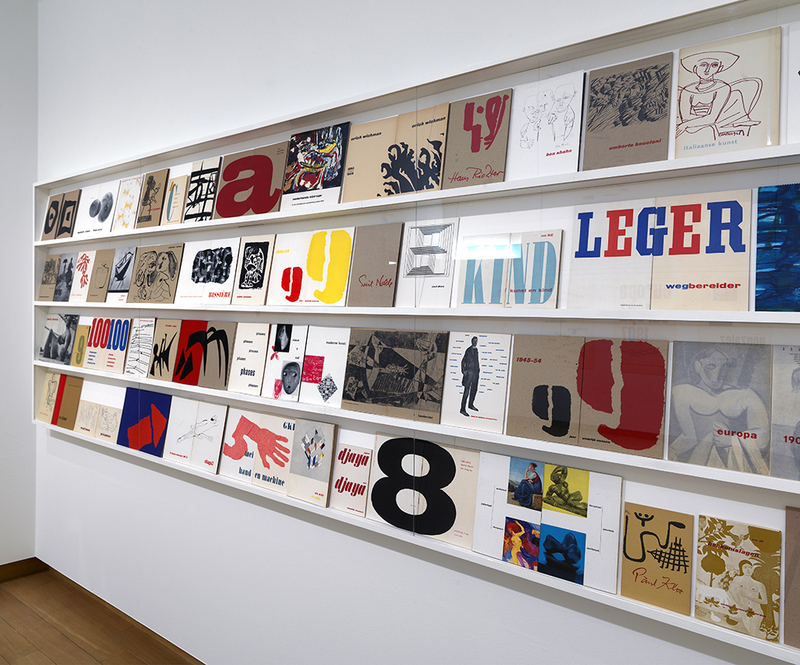 Willem Sandberg (1897-1984) from 1945 to 1963 Director of the Stedelijk Museum, where he had been a curator since 1938. 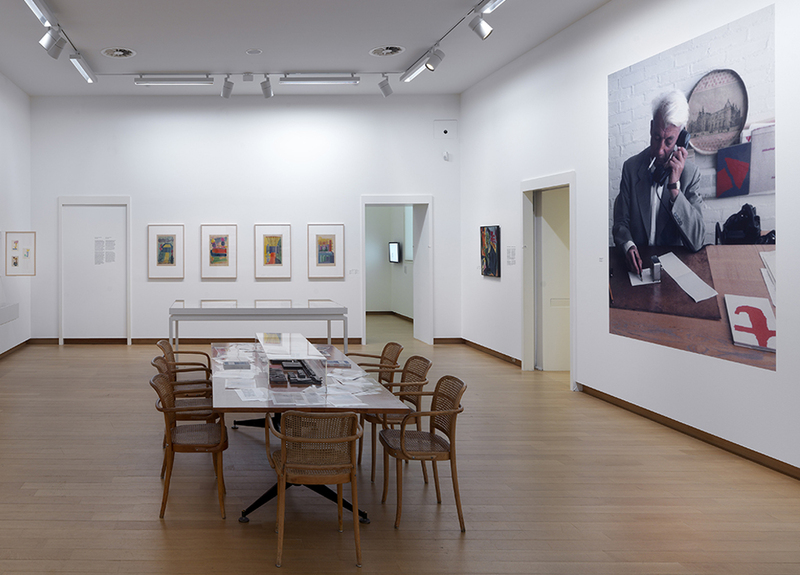 He built one of the most important collections of modern art in Europe and as an ardent campaigner for new developments in art he always devoted himself to the youngest generation of artists. 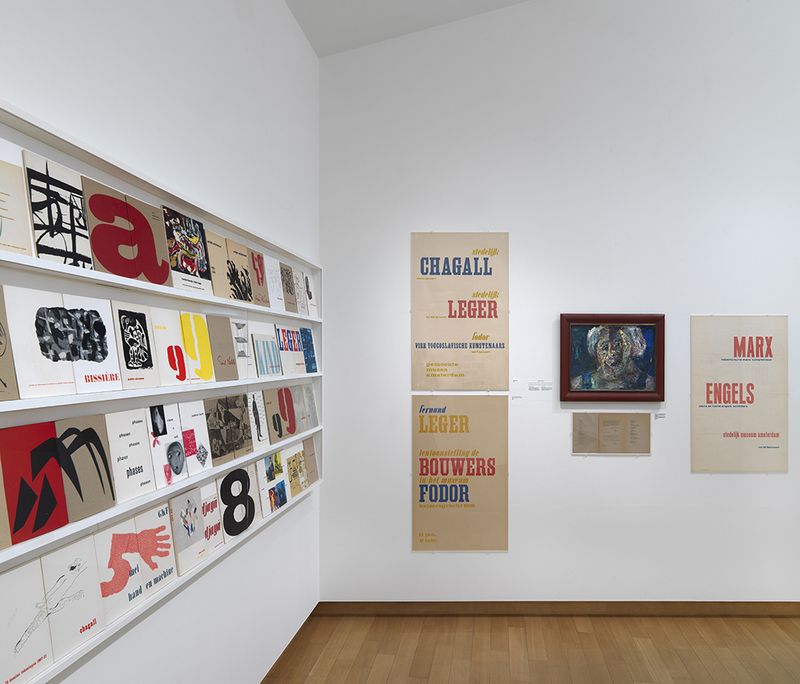 At the same time, he also designed almost all posters, catalogues and the small printed matter for the museum – an unusual activity for a Director. 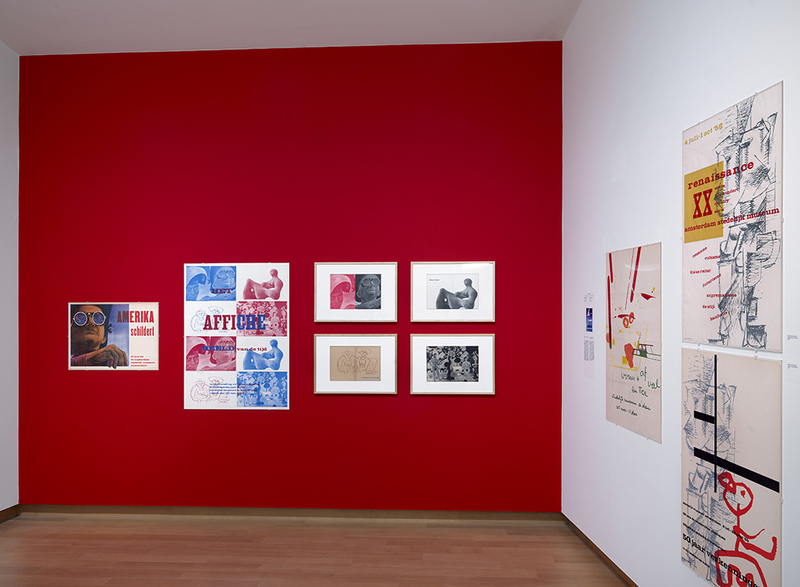 Characterized by great attention to typographic experiments, his style was undeniably simple: he used bright colors, reused many images in a very inventive way and later applied his torn letters and images with the rough contour. 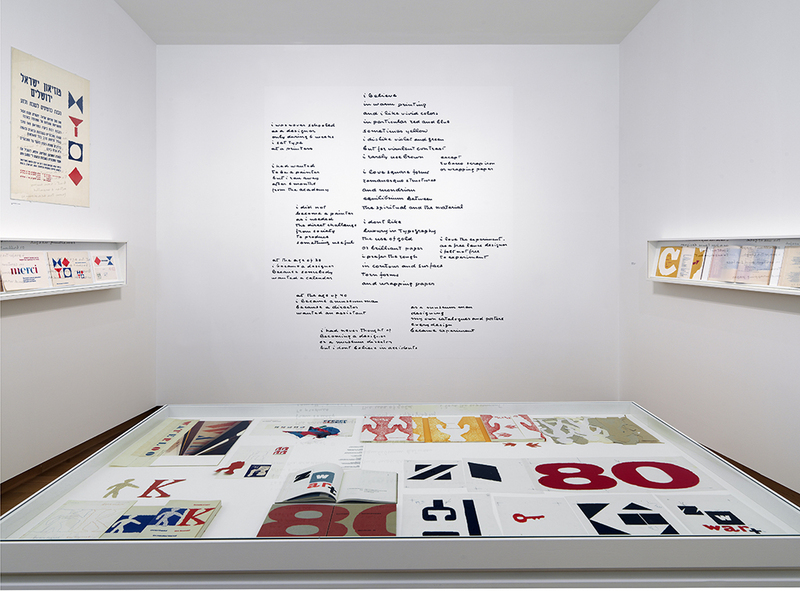 Sandberg was to design 380 posters and more than 250 design catalogs. 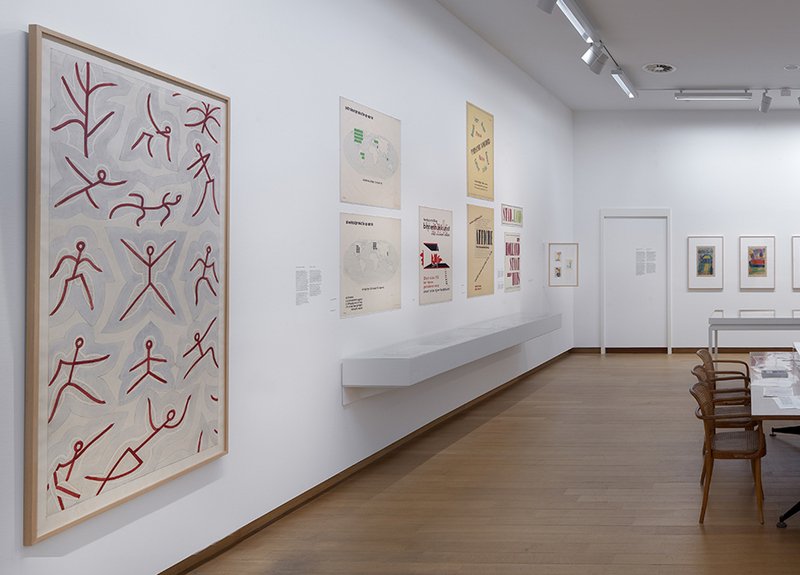 After leaving the Stedelijk he remained active for a long time as a graphic designer.